Leo Santa Cruz (34-1-1), Jermell Charlo (30-0) and Terence Crawford (32-0), are all favored to win their fights this Saturday night, but this is boxing, so, as fight fans know, anything can happen. Crawford challenges WBO welterweight champ Jeff Horn (18-0-1) on ESPN in a fight at the MGM Grand in Las Vegas, Nevada. 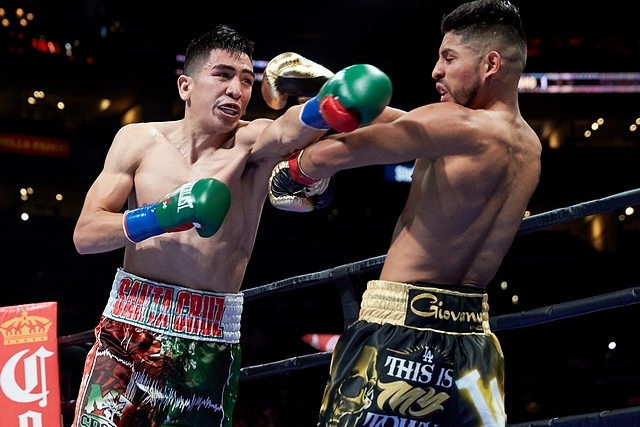 In “The Battle of Los Angeles” re-match, featherweights Leo Santa Cruz and Abner Mares will reprise their Fight of the Year-worthy slugfest from 2015 that resulted in a majority decision for Santa Cruz. The rematch will be televised from Staples Center in Los Angeles on Showtime. Santa Cruz vs Mares will likely be the same kind of bell-to-bell slugfest as was their first meeting where both fighters combined to throw over 2,000 punches. On the other hand, the co-main, Jermell Charlo vs Austin Trout, looks to me like it will be a sound beating for the former champion. 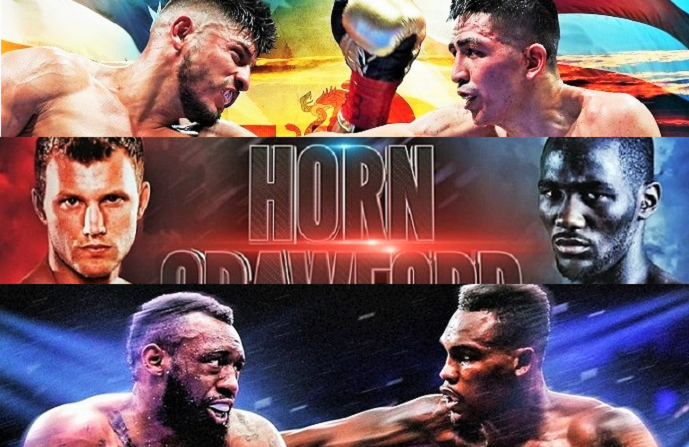 I expect Crawford vs Horn to be a more intriguing match. Crawford, who is moving up from 140, is a cerebral stick and move boxer who can punch heavy from either stance, while Horn is a banger and a big welterweight. But Crawford has middleweight punching power in both gloves and, knowing that Horn has a size advantage, he’s been sparring with big guys, up to 184 pounds! Crawford: too much for Horn? I see Crawford as at a point similar to when Muhammed Ali fought Ernie Terrell in Februry of 1967 in Ali’s next to last fight, his 28th (28-0, 19 KO’s) before he was stripped of his title for refusing to be drafted. Ali’s legendary trainer, Angelo Dundee, said Ali showed “complete ring generalship” against Terrell. This is Crawford at this point in his career, an undefeated ring general, with twice as many knockouts as Horn, the man who is clearly the more experienced and capable fighter on Saturday night. 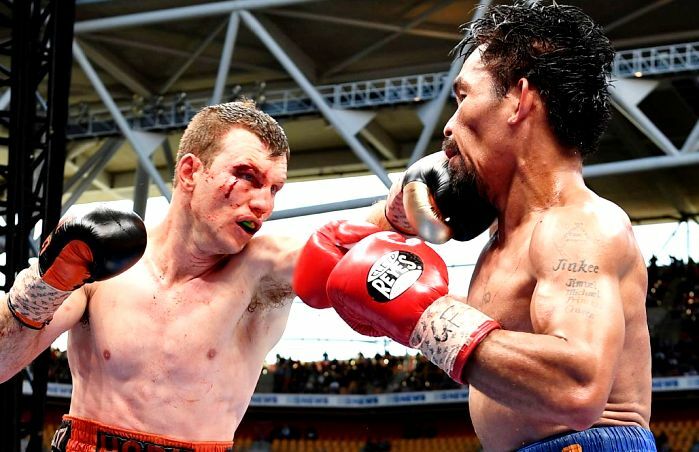 One pundit has said that for Horn to beat Crawford, he would have to take the rough stuff to another level but referee Robert Byrd may have something to say about that. Either way, if Horn gets dirty, fans will see Crawford make the necessary adjustments. In that vein, Crawford reminds me of the great Andre Ward, another very cerebral boxer who, like Crawford, thought on his feet both tactically and strategically, making adjustments round by round until he got dialed in. When Ward was signed to fight Carl Froch back in December of 2011, I feared for Ward’s safety. But in the first seven rounds, Ward thoroughly outboxed Froch, successfully using his jab and consistently beating Froch to the punch. Ward has this incredible ability to stand in his opponent’s range and stifle his power and by the eighth round, I actually felt sorry for Froch. Horn is no Carl Froch. And if he gives Crawford the right openings, Horn may be in for a beating. Oh yeah, something I forgot about “Bud” Crawford: he has a mean streak a mile wide. I think he has the meanness of both Charlo brothers in one body! I actually see a certain sense of enjoyment in his eyes when he’s beating the crap out of an opponent. I love Erroll Spence and the Charlo Brothers, from the great state of Texas, where my ancestors are from, but they need to be careful of what they wish for, they just may get it. 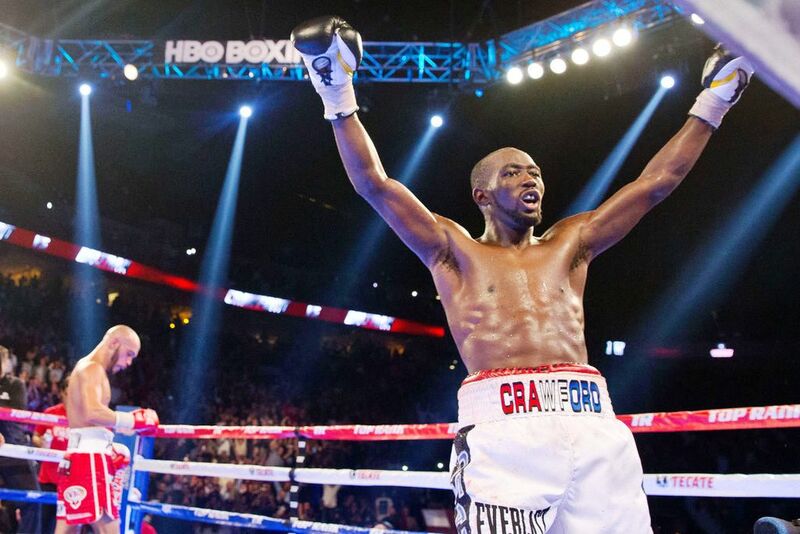 “Bud” Crawford is for real! Turning to Showtime and the double-header at the Staples Center, my guess is Leo Santa Cruz notches his guns off Abner Mares again, and more decisively this time. Mares is a very good fighter, though not above rabbit-punching and hitting below the belt to get an advantage. But Santa Cruz is just better and sharper, with a bit more stamina, a complete boxer with no quit in him. Plus, Leo is a lot less shop worn. 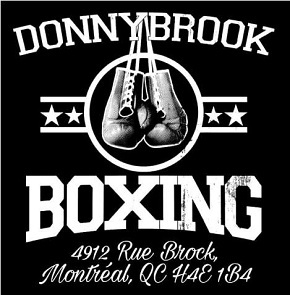 He hasn’t gone through as many punishing fights against guys like Vic D, Agebko, Yonnhy Perez, Ponce de Leon and Cuellar. But, knowing the competitive spirit of both these Mexican American boxers, I think it will still go the distance. It was non-stop action the first time between two East LA Chicanos who don’t like each other, and it will be more of the same tomorrow night. Will Santa-Cruz vs Mares II be a repeat? 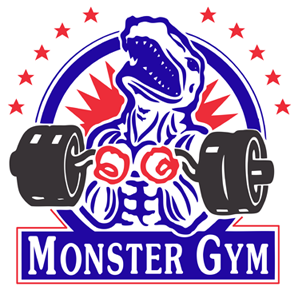 Trout is getting to be what Tommy Hearns‘ trainer Billy Miller once told me was a “grits and gravy” boxer, an over-the-hill battler who is willing to take on anyone to get a decent payday and is primed to take a beating from an up-and-coming youngster whose star is on the ascendant. Trout, coming off a seven month layoff from the beating he took from Jarrett Hurd back in October of last year, where Trout’s corner threw in the towel after round ten to protect their guy from further injury. 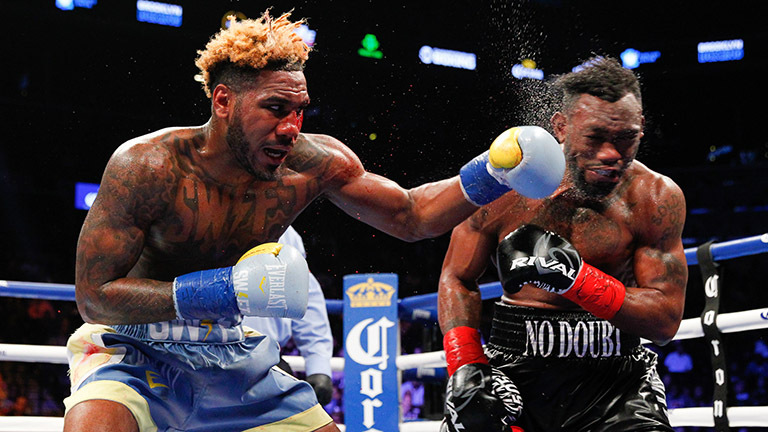 An aging former champ who’s seen his best days, Trout, in my estimation, just can’t compete with an angry and ruthless killer like a Jermell Charlo, who has youth on his side to go with his ample skills and for-real KO power. Grits and gravy: Trout’s last major tilt was a battering from Hurd. I just watched Charlo’s title defense against Charles Hatley from the Porter vs Berto undercard and Charlo just walked through Hatley’s punches, broke him down, and knocked him unconscious in round six with a cannonball right hook. Jermell was in control pretty much the entire fight. Showtime’s Paulie Malinaggi (an ex-pug who knows what he’s talking about) kept saying Hatley was going to pay for backing straight up to avoid Charlo’s outstanding and powerful jab. He did and it wasn’t pretty, Charlo coming over with a vicious “slobber knocker” after Hatley missed and left his head exposed. Lights out! In the aftermath of the fight, Charlo spoke about a potential unification tilt with Jarret Hurd. Let’s face it, Trout is just a cannon-fodder tuneup for Charlo ahead of a big showdown with Hurd, assuming that fight gets made. The way Hurd broke Trout down, the former champion probably shouldn’t even be in the ring with a young destroyer like Jermell tomorrow night. 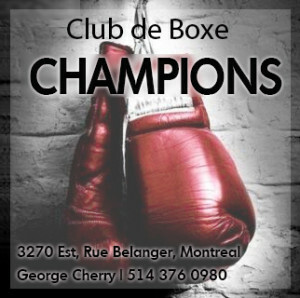 The Charlo twins are both slightly crazy and both are vicious punchers. Trout lasted eight with Hurd. He won’t last that long with Jermell.